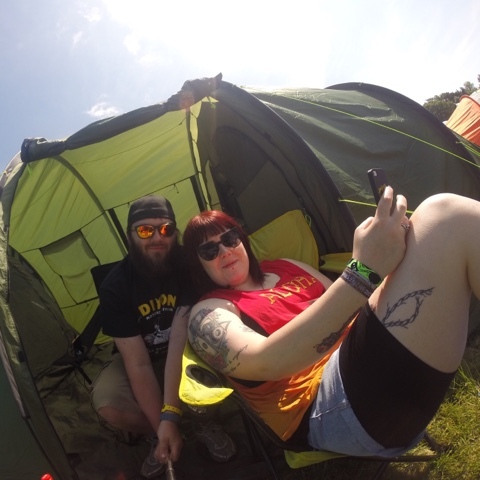 Download Festival 2015 what can I say...? It was an epic weekend full of more bands, more friends, more food and more mud! 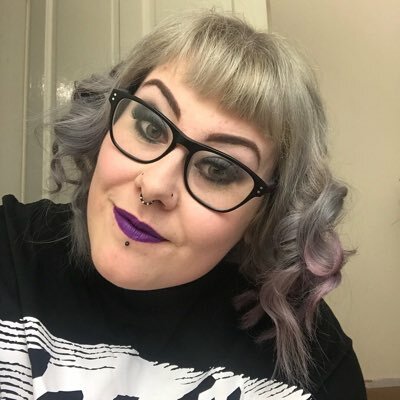 This year I'm attending Download Festival again with a couple of friends, probably the smallest group of us yet but its still going to be loads of fun, trust me. Me and the OH are hopefully going to Leeds Festival too, we don't want to miss Chillies and Die Antwoord. Last June was my 3rd Download Festival and although the band line up wasn't as good as the year before for me, I still had a great weekend and really enjoyed it! I got to DL late at around 9.00pm which meant I had missed all the setting up and exploring of the village, however I had all of the Thursday to make up for this. Thursday was spent eating BBQ'd burgers and sausage, drinking and shopping in the village. Shopping in the village was a little disappointing as in there seemed to be less stalls than the years before, not sure if this was just me or not. I made my way to the merch tent and made up for not spending much on the other stalls. This brings me to the Cashless Dog Tag system DL had enforced last year, I was a little worried at first and didn't trust it but I was pleasantly surprised! The dog tags were easy to use, you literally touched your dog tag (which was attached to your wristband) onto a electronic pad and the money was deducted from your balance. (just like using a contactless card) The electronic pad told you how much you was paying and what your balance was after you had paid, so every time you purchased something you knew how much you had left. Another advantage of having money on my dog tag is that I didn't have to carry a purse around with me, I only used my bum bag once over the weekend! This made me more comfortable to be walking around freely. Topping the dog tag up was easy to do, I added money to my tag before the event using the online payment system through the DL Website, as I'd topped up with enough money before hand I didn't have to top up over the weekend. However there was top up points in the village and arena if needed and you could top up using the DL App but the money could take hours to be loaded to your tag when using the app. 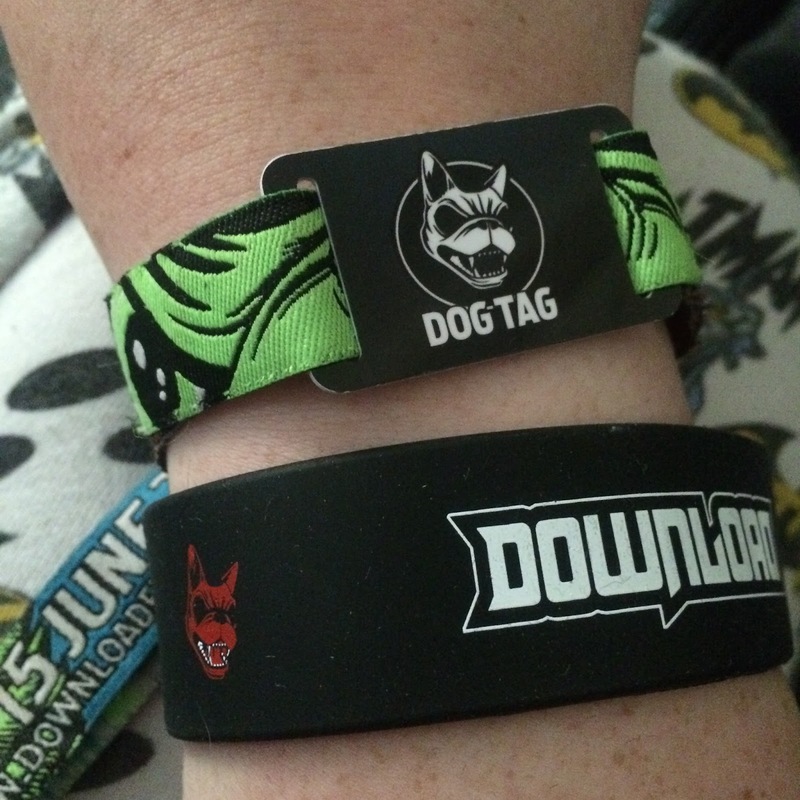 First thing I brought using my Dog Tag was Kerrang Magazine which I buy every year I attend DL as a keep safe. The transaction was effortless for me! DL have scrapped the fully cashless system this year but have a number of different payment options including, cash, credit/debit cards, contactless cards and Google/Apple pay. I think this system will work better because there was a few issues last year for some people and having more options to pay will speed up waiting times and queues. In the previous years DL we only had a small 3 man tent that you couldn't stand up in so last year we went all out and brought a new 6 man 6 foot high tent, it was great! We got this in the sale at Millets online and used a 10% discount code as well, it was a bargain. The tent had a living area which we all made use off when the rain started on the Friday, a large bedroom area which we put 2 camping beds in and all of our clothing etc, and even a spare room that we utilised as a food cupboard! Having the bigger tent made the camping experience more comfortable and secure, we will be using the "mansion tent' (yes we gave it a nickname) this year and for the foreseeable future on camping trips. Friday came and so did the rain, Thursday was the hottest day where we all got sunburned then Friday was lets get drenched day. Luckily we were all prepared with wellies, rain coats and hats. The rain isn't something to put you off going to a festival its all part of it, with your rain coat and wellies on its not an issue at all. For anyone not prepared, wellies and coats are sold all over the arena and village, but be prepared to pay a little extra to what you have at home. Black Stone Cherry was one of my favourite bands of the weekend, they opened with 'Rain Wizard' which I thought was great as we all stood watching them in the rain! I watched BSC at DL in 2014 when they was the secret band in the Pepsi Max tent, that was awesome! Seeing them in a small tent was such an experience and its my favourite time I've seen them. BSC played a full set, sang all my favourite songs including 'Blind man', and ended like they always do with 'Lonely Train' I wonder who the secret bands will be this year??? Slipknot closed the Friday last year and that was amazing, I've followed Slipknot since being a teenager so to see them live was brilliant, plus I could listen to Corey's voice all day long. Earlier that day I'd managed to see Corey Taylor in the signing tent, I wasn't able to go in and meet him as I hadn't brought his book. (rule was; no book, no entry, no signing) I had a sneaky look in the tent and snapped a sneaky photograph of him though. Saturday started with Hollywood Undead on the main stage mid afternoon, who again I've been a fan of for years now so to see them live was very exciting. And again it was raining but this made no difference to my experience and enjoyment of the day. We had some free time before the next bands I wanted to watch was on that day so we went shopping in the arena, lucky for me Iron Fist had a stall there again, YAY! This was a big part of my weekend, I've been following the Iron Fist Brand for around 7-8 years now, I love seeing the new season collections and buying what I can. 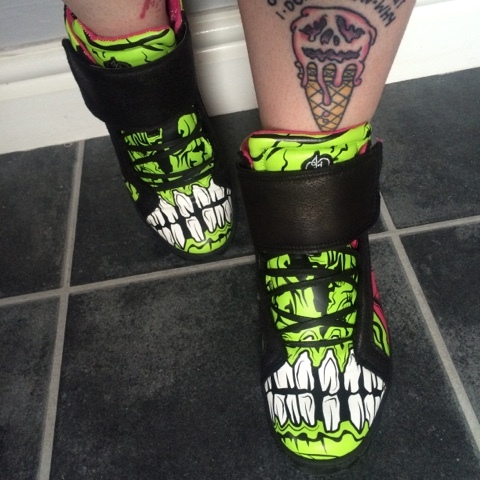 IF had brought some of the 'So Happy' colab clothing including 'Romper Suits' which was only £25, 'My Little Pony' colab trainers priced at £25 and the iconic 'Zombie Stomper' print items including leggings, trainers and tops. I had a field day in the IF tent I brought a pair of the 'Zombie Stomper' trainers which I couldn't wait to wear once I got home! I headed back to the IF tent on the Sunday and brought a bargain bin tee for £5, Burger purse for £10 and a 'Garage Patch Kids hoodie for £20! When paying I spotted some stickers and badges which I asked about and was given as freebies! I also picked up this seasons look book! Great prices, great staff and a great tent; they also had 'Die Antwoord' blasting too!! How amazing for these trainer??? I managed to catch some other bands on the Saturday including 'Upon A Burning Body' who played the cover of 'Turn Down for What' which was EPIC!!! 'Crown the Empire' and 'Andrew WK' was both playing on 'The Maverick Stage' (previously the Pepsi Max tent). Andrew WK was one of my favourites of the weekend, it was defiantly a PARTY! Muse ended the Saturday with an absolute amazing set, I got goosebumps watching them and enjoyed every last bit! Even if your not a fan of Muse you would of said this set was the bee's knees!! The stage was set with lasers, confetti canons, balloons and video screens in black and white! The last day of DL came around quickly, me and my friend Nat went down to the arena earlier than the rest of our friends to catch 'Evil Scarecrow' basically just so we could listen, dance and get thumb cramp to 'Crabulon' which we fully enjoyed! We also caught 'The Darkness', 'Billy Idol' 'Motley Crue' and 'Slash' that day before ending with 'Enter Shikari'. Most of our friends went to watch 'KISS' however 3 of us went to Enter Shikari then ran over to catch some of the KISS set, however I personally wish I hadn't left Enter Shikari. I thought the KISS set was lacking whereas Enter Shikari had a electric set with lots of movement. I guess KISS just aren't the band for me! My friends who are fans said their set was the best they'd seen so guess its just opinions. Black Stone Cherry - The band I most wanted to see! Iron Fist Tent - My favourite brand and prices, I love Iron Fist!!! Hoping they are attending the festival this year too. I need to shop haha. My boyfriend on Sling Shot Ride (bearded fella) - Funny as hell to watch! 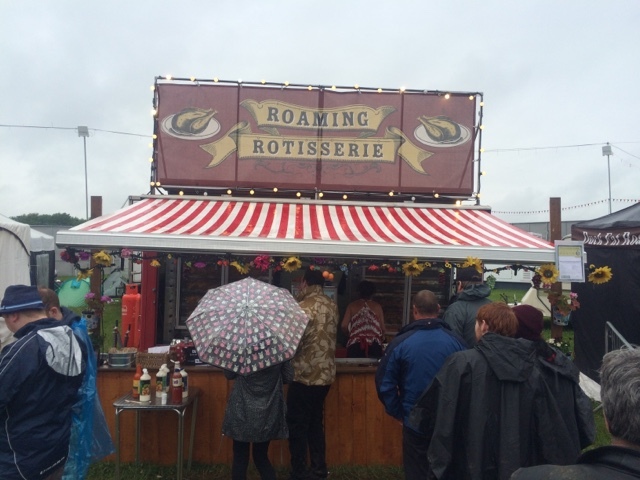 Chicken Rotisserie - Best festival food ever! Finding chicken thats been cooked in a rotisserie at a festival was the dream, like a homely roast dinner on a Sunday! I hope this stall is here this year too. Zippo Freebies - Who doesn't love freebies for just spinning a wheel of fortune! We got free; bandanas, ponchos and sunglasses which was all Zippo branded. I can't wait to see what events they have planned for us this year. 1. Bring bin bags and strong tape, bin bags have plenty of uses including keeping camp tidy of rubbish, putting over feet into wellies for unexpected holes in wellies, and tape is useful for securing luggage to a trolley and taping friends to chairs when they are drunk! Play nice guys. 2. Fold up/Reusable water bottle, you can take empty bottles into the arena and there are water points to fill it up so this will save you money from buying drinks and keep you hydrated. Mine had a key chain so I could attach it to my shorts or jacket. 3. Buy a locker, although this is another cost it is a worthy one, the lockers come with a usb port to charge phones, cameras etc. They also have space to keep keys, cards and other important items safe over the weekend. You also get to keep the padlock and lanyard when the weekend is over as a souvenir. 4. Put your phone in Aeroplane mode, I found that switching my iPhone on and off was wasting more battery so keeping it in aeroplane mode was saving my battery and not draining it switching it on and off. It was also quicker than waiting for an iPhone to switch on! 5. Mini Wipes, taking a small packet of wipes into the arena is very handy and they will fit into your pocket. The toilets are busy so sometimes run out of toilet roll but if you have your wipes your good to go anytime, also as it was muddy the wipes was handy to wipe your hands before eating or if any mud got splashed onto you, which it did haha. I can't wait for this year's Download, with Rammstein headlining and me missing them in 2013 I'm super excited for their set. I'm also really looking forward to seeing Shinedown again after watching them in February. Royal Republic, Skindred, Korn, Disturbed, Breaking Benjamin and Alien Ant Farm are amongst the many bands I can't wait to see as well. Shopping at festivals is another thing that fills my weekend so I'm saving up some extra spends to make sure I can buy things I want all weekend, especially from the Iron Fist tent if they are attending. I am hoping to have some more festival themed posts up soon including, festival makeup essentials and festival outfits and accessories. I'll keep you all updated on my social media channels. 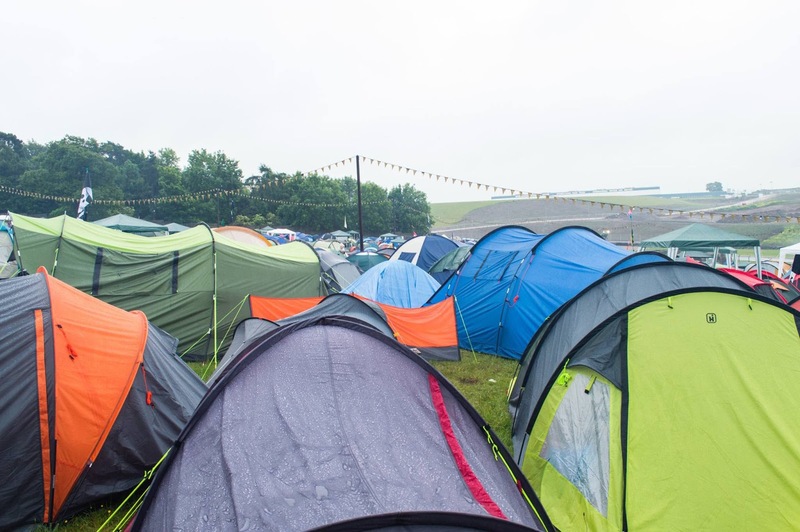 Who's going to a festival this year then? ?